No, I’m not talking about cotton. However, the theater is FULL of soft goods. This means the theater requires quite a bit of fabric. But what kinds of materials are we referring to exactly? Well, I’m glad you asked. 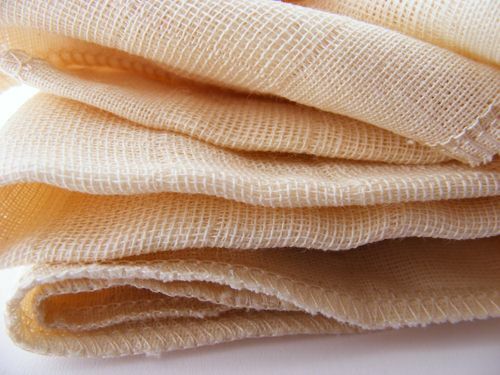 Muslin is the most common type of fabric used in the theater. It’s a natural fabric that holds dyes well. It is overall very versatile, as a myriad of staging effects can be created with muslin. You can paint this fabric with any scene you can imagine, hang it straight or draped, or even treated to appear semi-translucent. This last effect gives a look similar to a scrim. Being lightweight and inexpensive are significant assets for a fabric used in set design, and Muslin certainly fits the bill. Next, I would like to talk about Velour. This fabric is also widely used in theater, mostly for grand drapes and valances. This fabric can also be seen in costume design. Though it is not as widely used as Muslin, velour can come in handy within the theater design world. Velour is a thick, luxurious feeling fabric very much like Velvet. Yet, unlike Velvet, Velour is a knit. This means that the fabric is stretchy, and will give easily with movement. Look at how wonderful that Velour looks! It just drapes so nicely. Third, we have to mention the many uses of Commando Cloth and Duvetyne. Both of these lovely fabrics are great for masking fabrics. The legs, borders, and traveler used in theaters are all commonly composed of either of these fabrics. These two fabrics are also great for softening the edges of a scrim or other backdrop. Depending on the budget of your local theater, you may be looking at masking fabrics made of Duvetyne rather than Commando Cloth because of the price difference between the two, the former being cheaper than the latter. Lastly, Opera Netting proves very useful when it comes to theatrical production and design. When you need to make a cut drop for a scene, it must be reinforced with Opera Netting. Otherwise, your drop will not hold up correctly, and your scene will be a mess! Opera Netting furthermore reinforces cut legs, borders, or any other soft good that needs extra structure and support. This image below and to the left is of a cut drop. You can see the evident cut out that bring this drop to life. However, without that beautiful Opera Netting shown above, the cut drop would fall apart!